On August 18th, 2011, the U.S. Consumer Product Safety Commission, in cooperation with Macy’s and the Martha Stewart Collection, announced a voluntary recall of their Enamel Cast Iron Casserole due to a potential burn and laceration hazard. 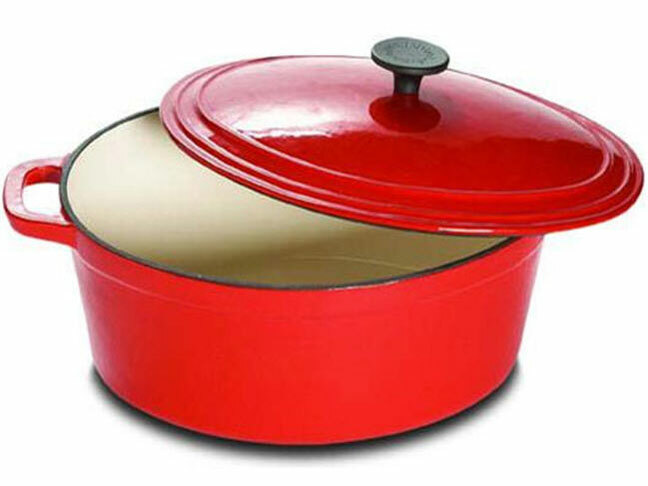 The enamel coating on the cast iron casseroles can crack or break during use. This can cause the enamel to crack and fly off as a projectile, posing a risk of laceration or burn hazard to the user or bystanders. About 960,000 of these products were manufactured in China and sold through Macy’s stores and AAFES, MCX and NEX locations nationwide, and on macys.com between June 2007 and June 2011 for between about $25 and $170. As of August 18th, 2011, Macy’s has received two reports of the enamel cracking and flying off of the casseroles during use and no injuries have been reported as of this date. What should you do if you purchased or own one of these products? Consumers should immediately stop using the casseroles and return them to any Macy’s store for a full refund. Additionally, Consumers should be aware that it is illegal to resell or attempt to resell a recalled consumer product. For additional information, contact Macy’s toll-free at (888) 257-5949 between 10 a.m. and 10 p.m. ET or visit the Macy’s website. Further general information about this recall can also be obtained at the CPSC website.